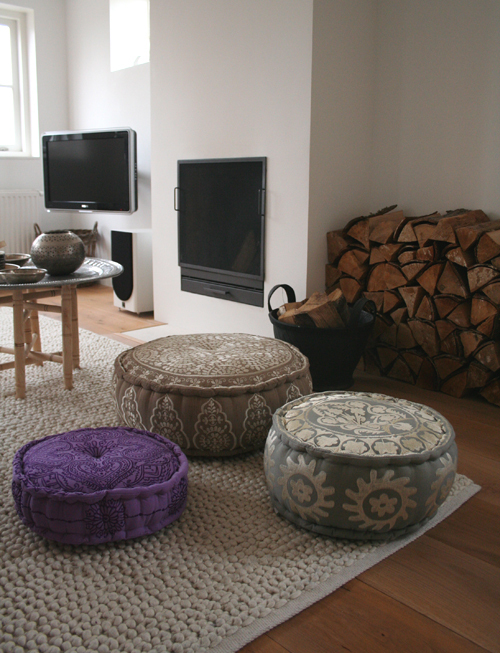 Some beautiful new poufs have arrived at Le Souk! They are great to use a extra seats, or to create a cosy corner in your home. With a tray they can also be used as a (low) table. 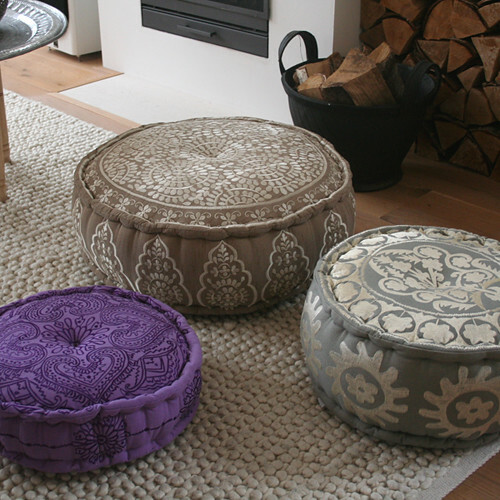 The poufs featured are: Suzani Pouf in grey, the large Ibiza Pouf in brown, and the small purple pouf. 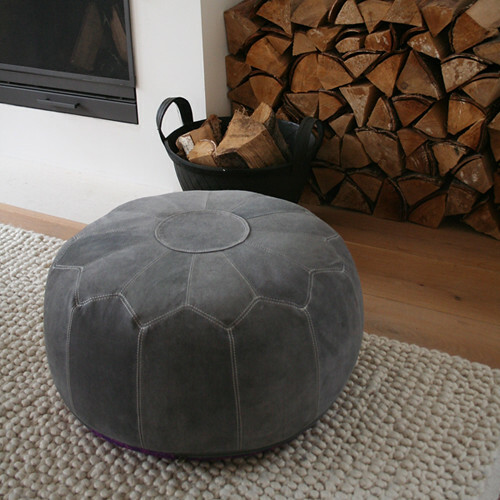 The stylish leather pouf in the image above is made from soft suede leather in a warm grey color. These poufs are fabulous. I am absolutely in love with these!!!! Thank you for sharing your inspiration and passion. Wanted to ask where you got your white rug, the one that the puffs are displayed on, it is so great. The rug was purchased at Het Kabinet, which is a store in The Netherlands. Hi there, could you tell me where to purchase the “stylish leather pouf made from soft suede leather in warm grey colour.” I just love it and have scoured the Internet to no avail! Thanks, Alexa.